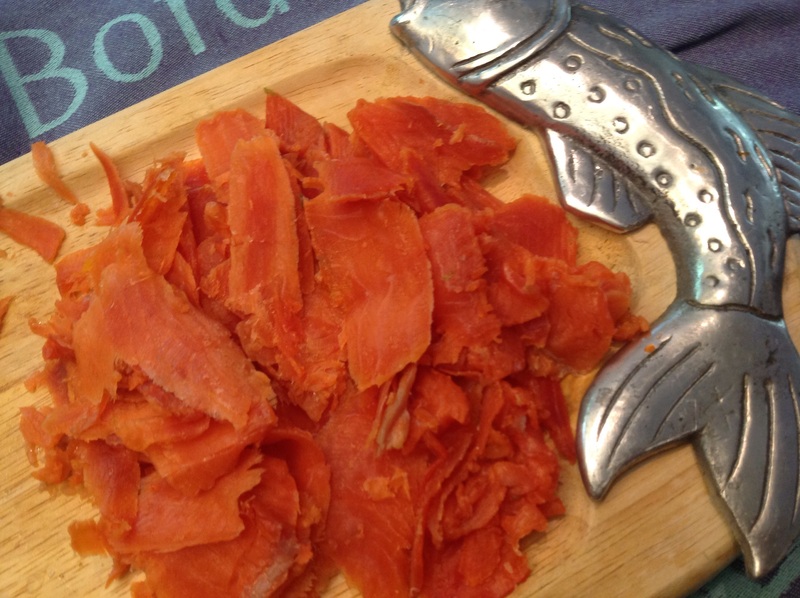 Cured salmon also known as gravlax is a silky smooth salmon cured in a mixture of salt, sugar and spices. It is Nordic in origin and its preparation goes back to the Middle Ages. In ancient times the salmon was fermented and salted then buried in sand, hence the name “grava” , to dig. 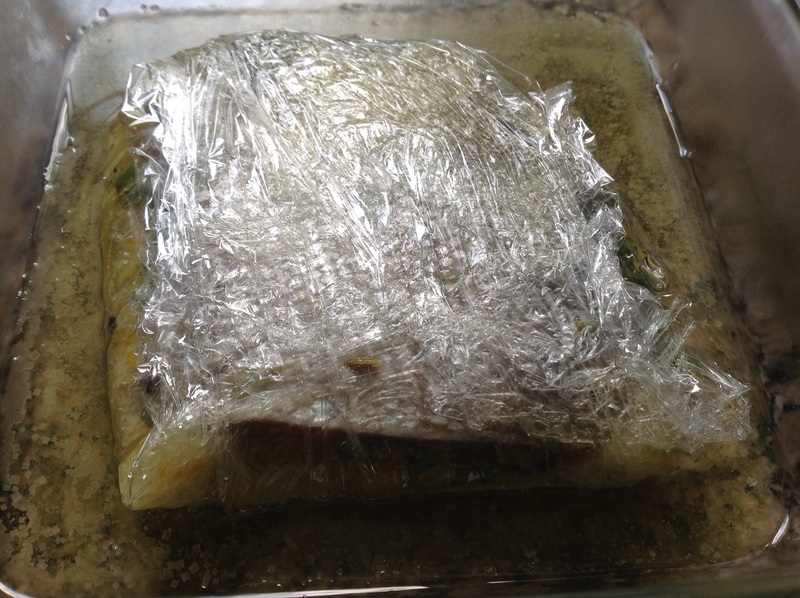 Essentially the salmon is coated in the brining mixture then tightly wrapped in plastic film, placed under a weight and refrigerated for 2-3 days(if your fillet is thinner or not very fatty, reduce the curing time). Salt draws the moisture out of the salmon’s flesh, changing its texture and taste. 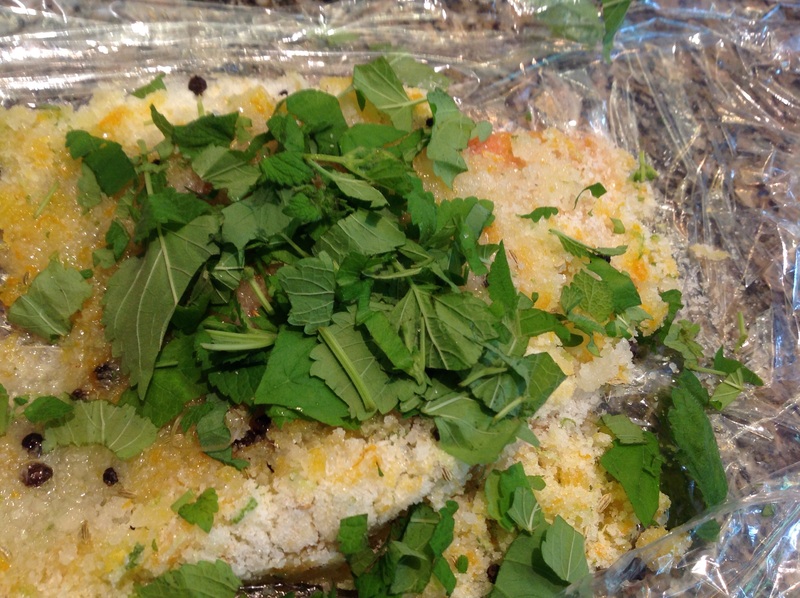 The weight helps draw moisture out and infuse flavor into the fish. 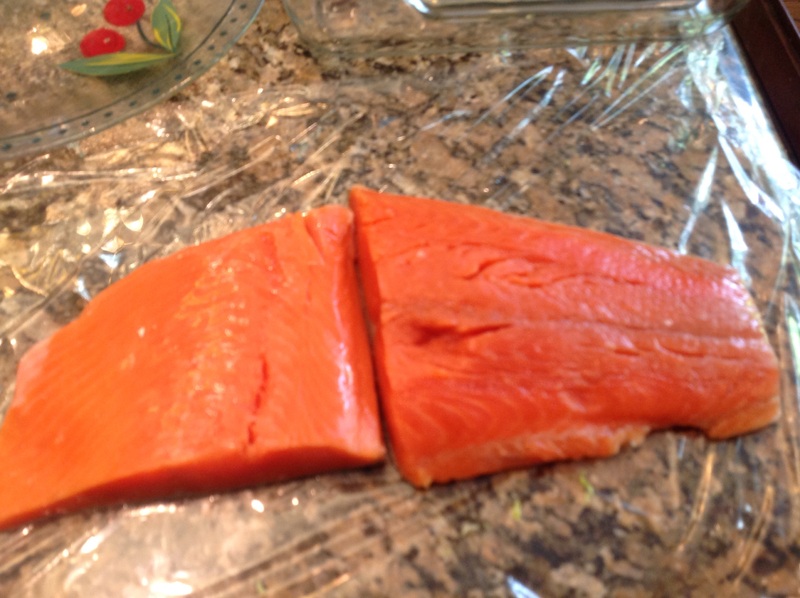 At the end of the curing period, rinse the salmon and slice thinly to enjoy. 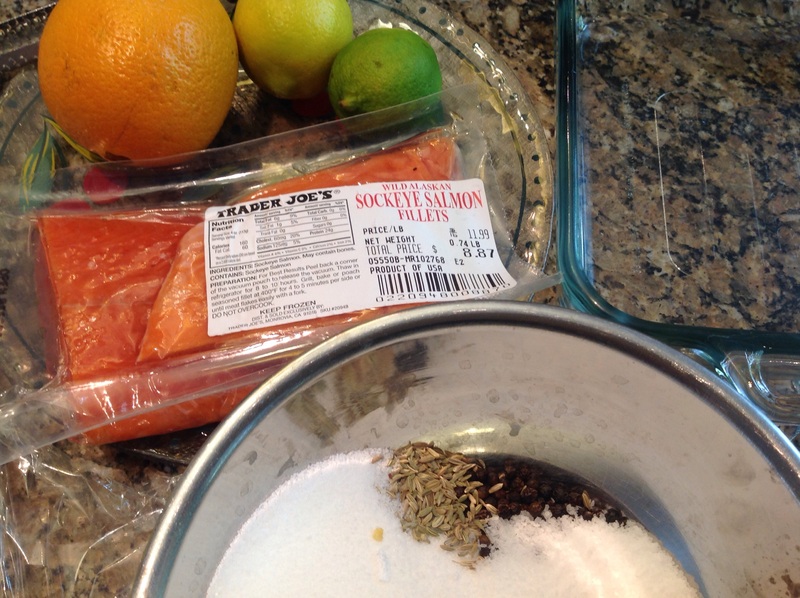 The first time you try curing your own salmon, start with a classic mix of seasonings such as lemon and dill. A current popular trend is to use alcohol, such as whiskey or bourbon, for flavor with the salt/spice mix. 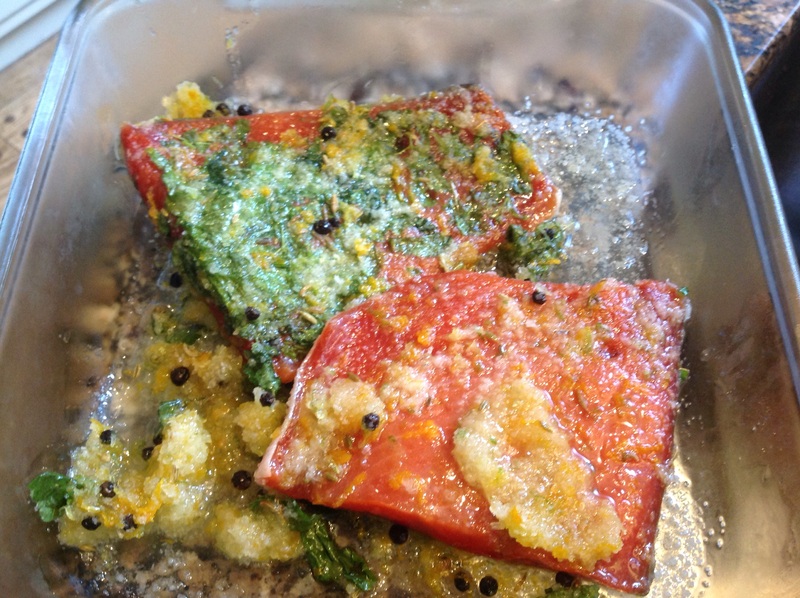 My 3/4 pound salmon fillet was cured in equal parts of kosher salt, granulated sugar(1cup each), a teaspoon of each fennel seeds and peppercorns, the zests of an orange, a lemon and a lime and a handful of chopped lemon balm herb from the garden. 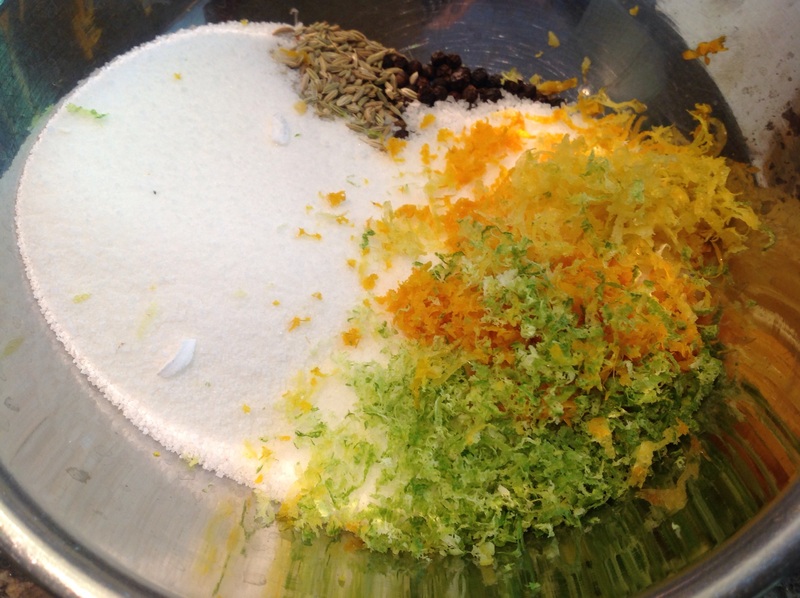 Get creative and have fun with different flavor combinations! Cured salmon can cost up to $25 a pound. Making your own is far more economical, fresher, takes only a few minutes of hands-on time and is free of any chemical preservatives. This was a really fun culinary activity with a delicious final result! 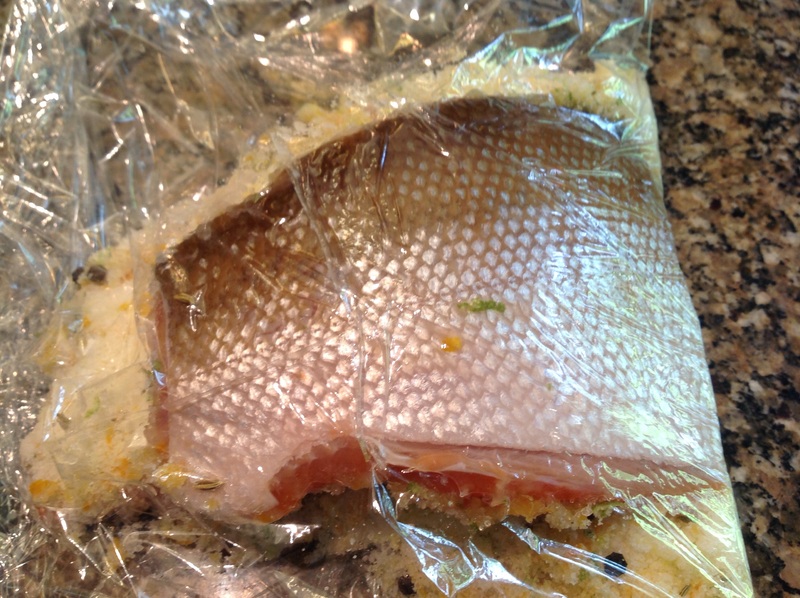 2 wild salmon fillets, skin on, laying on plastic wrap, ready to coat with the brine. 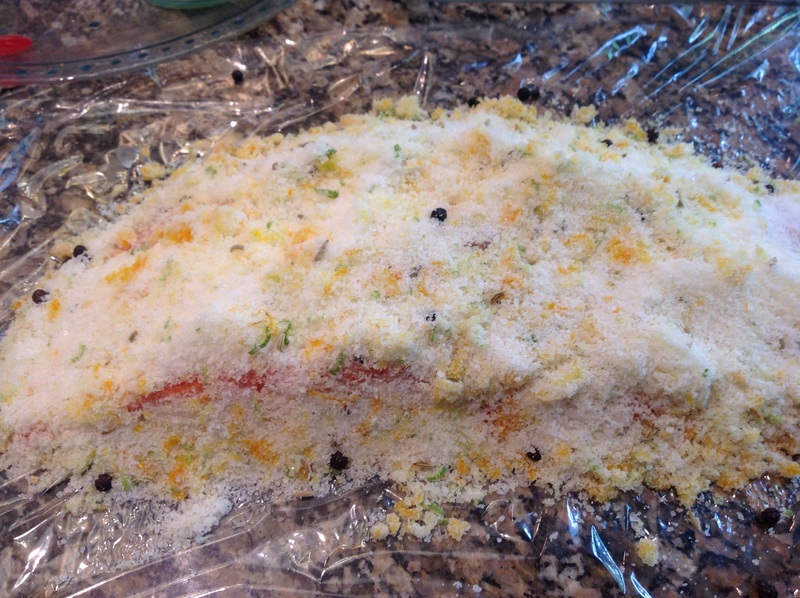 The salmon fillets fully covered in the brine. If using herbs, sprinkle over the brine. 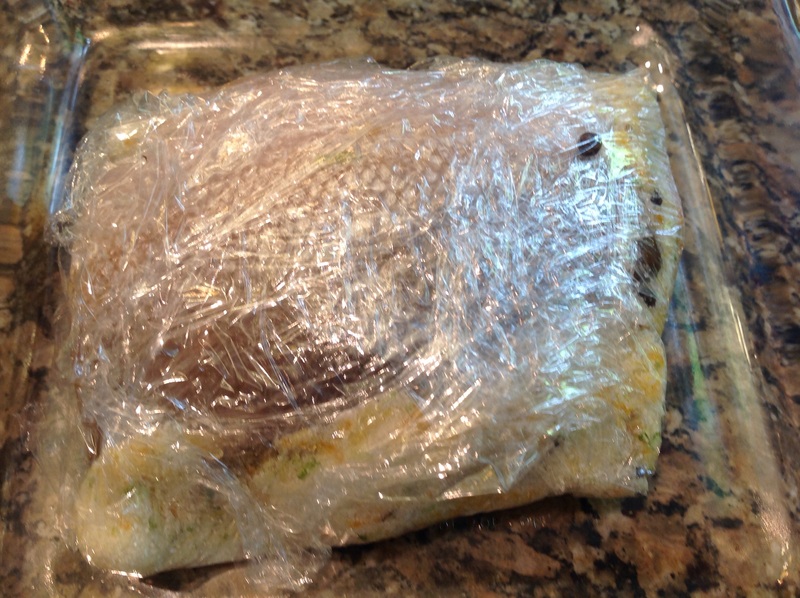 Flip one fillet over the other, tucking the brine over the sides, then start wrapping the fillets tightly. 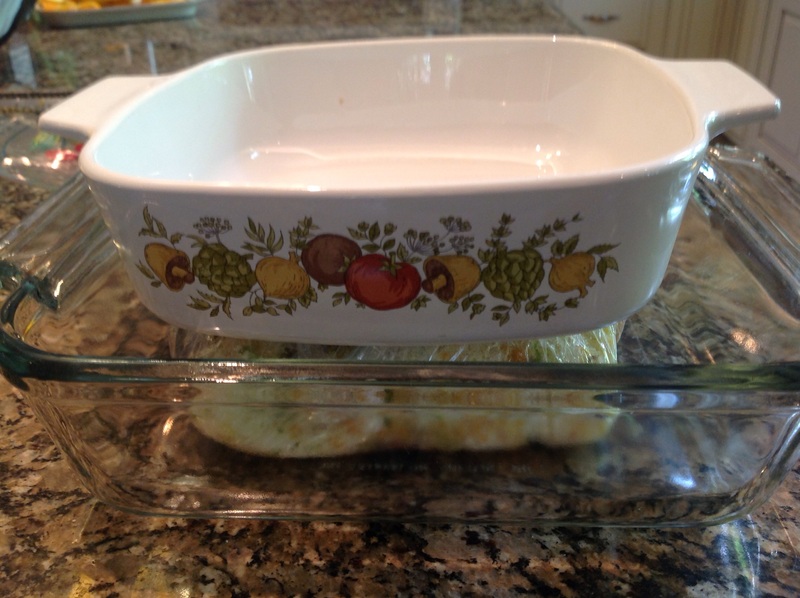 Double wrapped fillets, placed in a glass dish to collect the extruding moisture as the salmon cures. Weighing down the salmon during the curing processs. Note the loss of moisture after 3 days. Just before rinsing off the curing mixture. The gorgeous gravlax, ready to be savored. 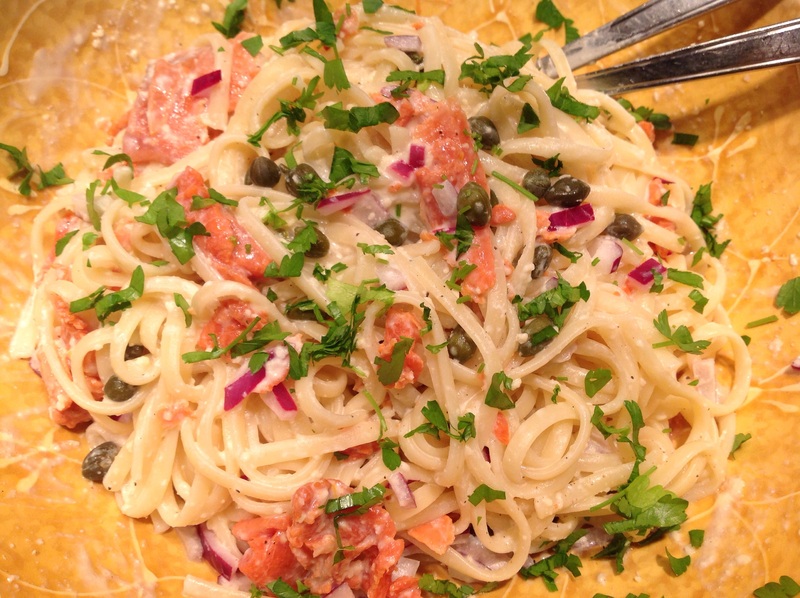 Not one to just enjoy the classic gravlax on cream cheese and bagel, I made a salmon fettucine dish with some of the gravlax and all the traditional fixins! 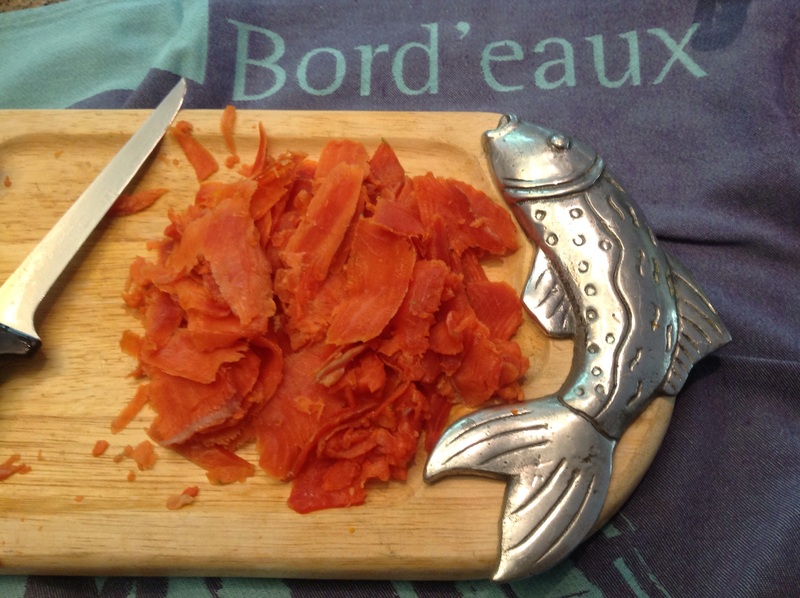 This entry was posted in Recipes and tagged citrus fennel cured gravlax, Curing salmon fillets, easy cured salmon, easy gravlax, gravlax tutorial, Making your own gravlax by Johanne Lamarche. Bookmark the permalink. Oh that fettuccine looks so good right now as I just returned from aquatics. Would never have thought of doing this myself but good to know the process. I hope you are having some quality time at the beach with your bike and walks. Miss you. Lovely Johanne, light and summery, and I love how you made the salmon. It seems a lot of effort went into this dish, and I can only imagine what it tasted like. It has been years since I made gravlax and then it was for a photo shoot! I forgot all about that until your post. I do love this method of yours, which is simple and straightforward. Looks delicious in the final dish. As always a wonderful summer post. This technique was super easy Teresa and was a compilation of several I had researched. It was my first attempt at making gravlax and it was really summery and flavorful. I hope you’ll give it another try, maybe with some bourbon in honor of your Southern roots! I can see it served in a summer brunch tasting of several cures! That looks so good Johanne! !